Nordic-Baltic Translation agency Baltic Media is a leading provider of digital translation services in Northern Europe specializing in Northern European (incl. Nordic, Baltic, Slavic) languages mostly in translation services from/into Swedish, Finnish, Danish, Icelandic, Norwegian, German, English, Polish, Russian, Latvian, Lithuanian and Estonian. 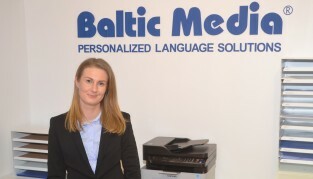 As an ISO certified language service provider, translation agency Baltic Media offers human translation services for corporate, public and individual clients. Why choose Nordic-Baltic Language Service Provider Baltic Media? Why Human Translation Services is Your Best Choice?